Margaritaville Orlando has named their new waterpark Island H2O Live and release a new park map. This video looks at all the new construction including new slide pieces, a 3rd slide tower that will house the new family raft slides and the first building that has gone vertical. 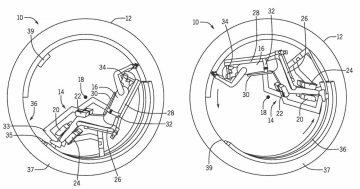 New patents filed for Universal, no indication of specific parks as yet. 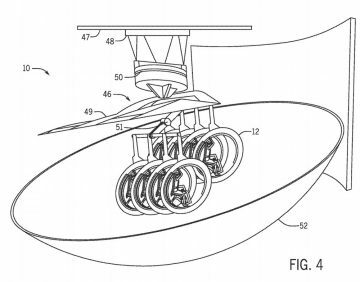 A Jurassic World Gyrosphere Ride? Movement of the passenger support system, and thus, the passenger, within the annular structure, causes the sensation of airflow around the passenger’s body (e.g., arms and legs) and may allow the passenger a heightened amusement ride experience. 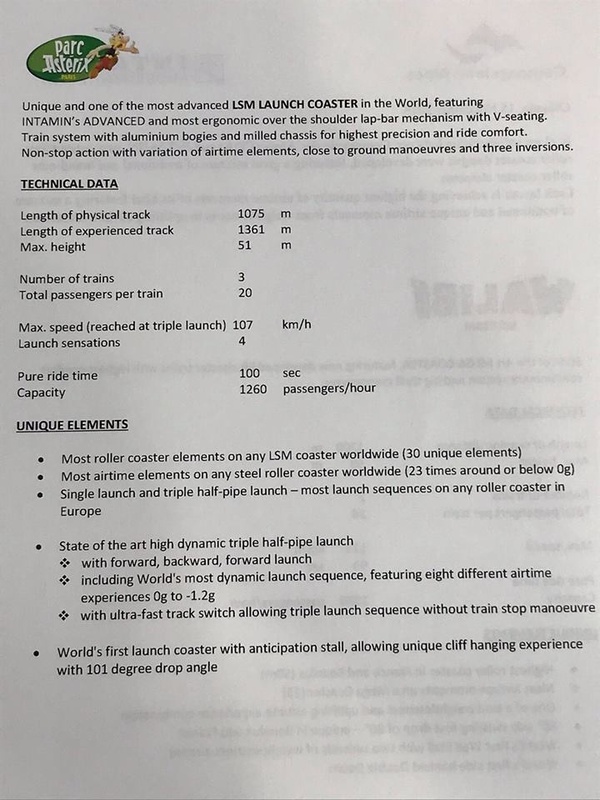 Additionally, relatively minor movement of the passenger support system may create additional forces on the rider’s body due, in part, to the distribution of gravitational forces. The combination of physical effects such as airflow and g-forces, along with visual effects such as a visual effect device, screen, or facade may provide the passenger with an immersive amusement ride experience. By positioning the rider in a facedown position or on a vehicle that, at least in some orientations, permits a downward gaze, the rider may experience a sensation and feeling of horseback riding, motorcycling, or the like. 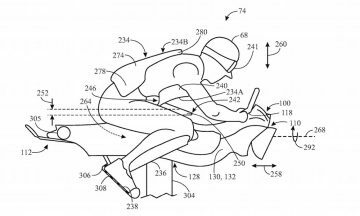 Additionally, the disclosed rider support assembly may allow the rider to experience sudden moments of positive and negative gravitational forces (e.g., g-forces) that enhance the sensation of riding or motorcycling, and provide a more pleasurable riding experience. 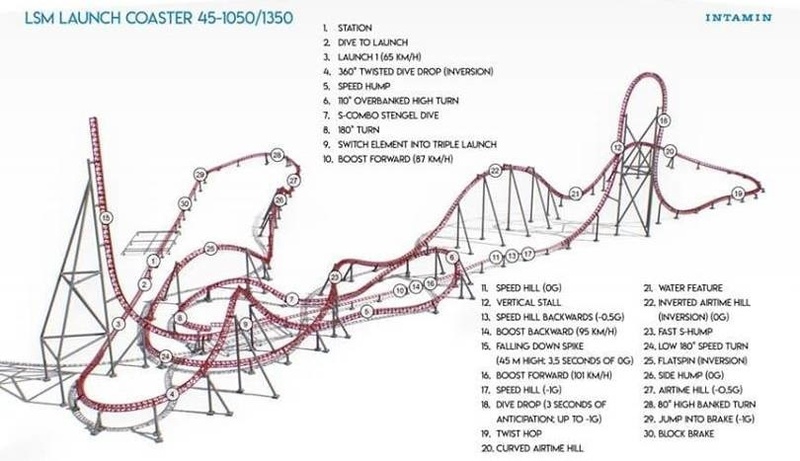 So, what ride could we be looking at here? With Universal bringing Super Nintendo World to its parks in the next few years, I can’t help but wonder if this will be themed to The Legend of Zelda, the iconic video game franchise about exploring a dangerous fantasy world, often on the back of your trusty steed. It’s still not clear where Super Nintendo World will open in Universal Orlando (if maybe that fourth unnamed park), but there have been additional rumors that Zelda will be spun off into its own land entirely, away from the Mario-centric core world (which will host a ride based around Mario Kart). 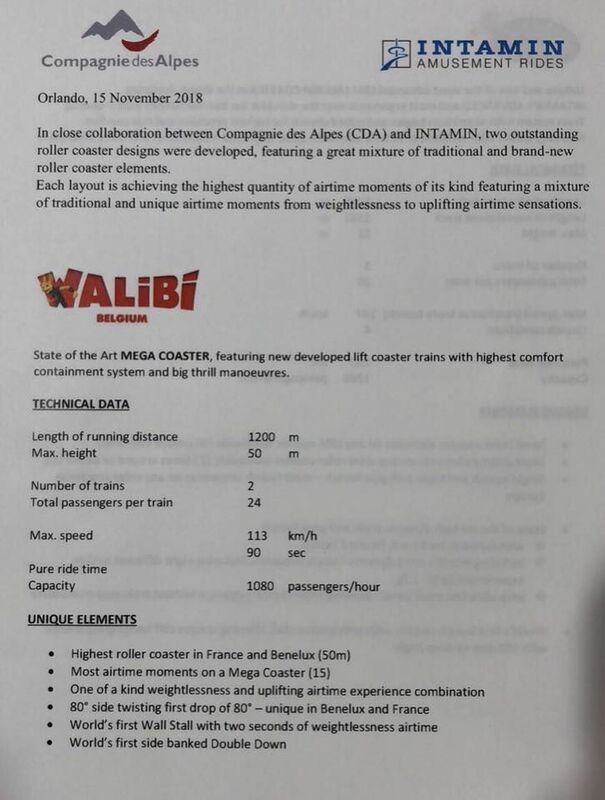 Intamin was picked by the Compagnie des Alpes to open the new coasters of Parc Astéric and Walibi Belgium (both 2021). Here is an update video of riders on Infinity Falls and how they change operations for the winter months. They have turned off the water curtain, all the waterfalls and the geysers to make the ride less wet for cooler days. Details of the expansion for LEGOLAND Florida. 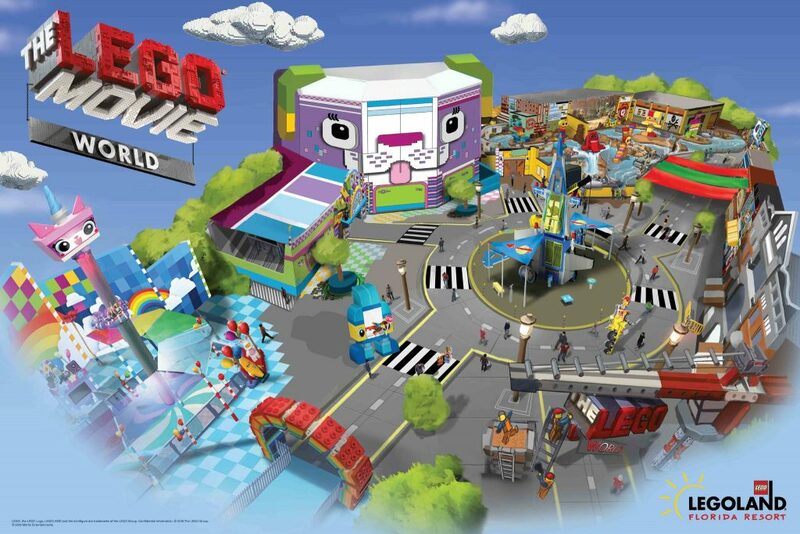 LEGOLAND Florida Resort is taking guests from the theater to the theme park in early spring 2019 with the launch of THE LEGO MOVIE WORLD. 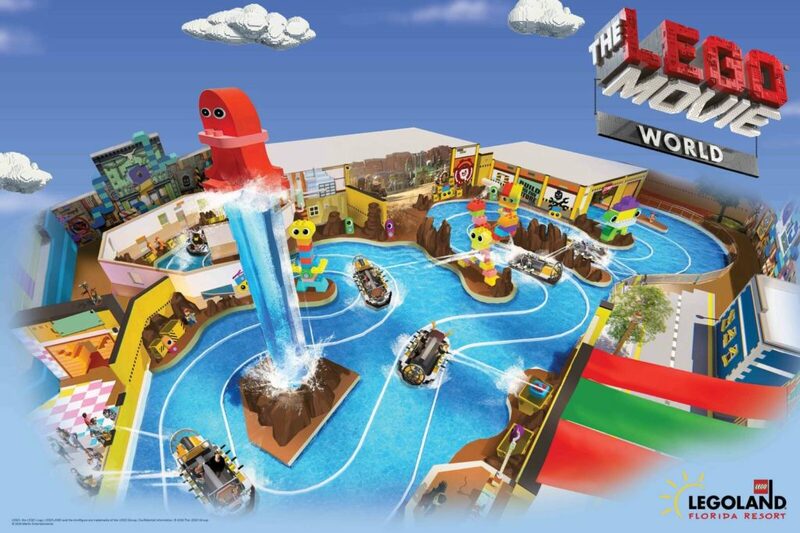 Created in partnership with Warner Bros. Consumer Products, this impressive expansion features three attractions, inspired by the characters and themes of the worldwide blockbuster THE LEGO MOVIEand the upcoming THE LEGO MOVIE 2: The Second Part. The marquee attraction, THE LEGO MOVIE Masters of Flight, took center stage on the show floor of the 2018 IAAPA Attractions Expo as LEGOLAND Florida Resort and Brogent Technologies, Inc. joined together to share the latest details on this state-of-the-art flying theater attraction. A comprehensive construction Tour of Orlando's new waterpark, entertainment district and resort that is coming in 2019 near Walt Disney World. A comprehensive construction tour of Orlando's new waterpark, entertainment district and resort that is coming in 2019 near Walt Disney World. This video also includes a tour of the new Rock and Brews Restaurant at Sunset Walk. A look at all of the new construction taking place at Disney Springs in Walt Disney World.